Contains some qualifications of course teachers. Qualification – It tells you if most of the teachers are qualified or degree holders. L2 Qualification – It tells you the type of qualification the teachers possess to teach Italian as a second language, such a Master’s degree. 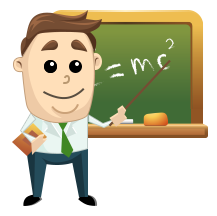 Permanent/voluntary – To know if teachers are permanent with an employment contract that guarantees their continuity, or they are volunteers. If it is not clicked to say that the teachers have fixed-term contracts then teachers may vary. L2 Obligatory Experience – You need to understand if all the teachers have the required previous experience in teaching Italian as a second language. Number – Indicates the total number of teachers.